This is a commentary devoted to malpractice—and not the medical kind. The similarities between the cases of Nick Sandmann and David Ruiz will not be lost to you if you stick with me for a few minutes. 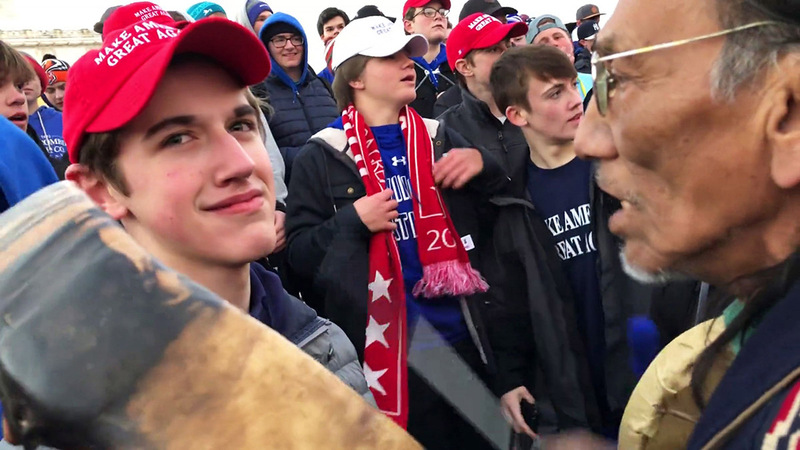 Sandmann and his classmates, you may recall, were vilified for events that took place as they stood waiting for a bus in front of the Lincoln Memorial in Washington, D.C. after the March for Life. The young men encountered a challenging situation for which neither Nick nor his classmates was prepared. Even so, Sandmann handled it masterfully. Yes, some of the high school students were wearing Make America Great Again (MAGA) hats, but that should not have made a difference. Yet, it did! Without rehashing the details, which you have heard repeatedly, a media rush to judgment resulted in a Catholic bishop representing the diocese of Covington, Kentucky, Bishop Roger Foys, verbally chastising the boys and then sort of walking back his accusatory tone with an apology, saying he had been bullied into making the original statement. How sad that bullies got to a shepherd and apparently forced him to malign a group of Catholic teens who had traveled to the nation’s capital to defend innocent human beings. In another part of the country, we see the case of a comatose young man in the Diocese of Tucson, Arizona. David Ruiz also suffers from a type of clerical malpractice. In David’s case, however, his plight is occurring in a Catholic hospital and he cannot speak for himself. You see, David Ruiz is a 32-year-old man and a member of the Pascua Yaqui Indian Tribe who suffered a stroke on New Year’s Eve and was taken to St. Joseph’s Hospital in Tucson, Arizona, where he was being treated, until the hospital decided, on January 9, to remove his nutrition and hydration. In desperation, David’s mother, Patricia Adames, pled on a video recorded from her son’s bedside, begging for someone to help David live. David was clinging to life by a thread. Thankfully, Glenn Beck, Bobby Schindler, and the Life Legal Defense Fund came to David’s aid. Schindler’s Terri Schiavo Life & Hope Network and the Life Legal Defense Foundation hosted a news conference outside the hospital on Monday, January 28, to talk about their concerns. Nutrition and hydration are basic human rights. It is outrageous that a hospital would deny these most basic provisions to a disabled patient. Ms. Adames is not looking for the hospital to keep her son indefinitely. She is only asking that they give David the nutrition and hydration he needs in order to be transferred to a facility that can provide appropriate care. Mercifully, the Catholic hospital has decided to restore David’s nutrition and hydration so that his family can move him to a long-term care facility. In a prepared statement, the hospital explained that it could not comment on any of its patients or their cases, including its actions that we know are absolutely contrary to Catholic teaching. During this ordeal, which has lasted nearly a month, the bishop of Tucson, Bishop Edward Joseph Weisenburger, remained silent. In both cases we have seen individuals who could have benefitted from immediate defense of their rights by the bishops who are their shepherds. Sandmann might not have experienced so much derision and downright nastiness had Bishop Foys been on the frontlines, standing with him and his classmates. And surely Bishop Weisenburger could have intervened immediately before the hospital decided to begin the starvation process. Clerical malpractice, my friends, is an injustice against God and His people. In both cases, shepherds could have acted in defense of innocence, in defense of vulnerability, and in defense of justice. But they did not. Catholic bishops need our prayers. This is why we support the call for a Marian Blue Wave of rosaries for our nation, our bishops, and our families—including preborn babies, vulnerable loved ones, and anyone at risk. Clerical malpractice cannot be defended, no matter where it occurs. God bless the students from Covington, David Ruiz and his family, and all those in need of prayer. May Our Lady intercede for them, for our bishops, and for us!